Kanitra Fitzpatrick originated from upstate, New York. She moved to Philadelphia in 1998 to attend Temple University. She graduated from Temple with a Public Health Degree. Having a passion for the community she worked for an afterschool program and the Philadelphia Health Department smoking cessation campus, while attending nursing school at LaSalle University ACHIEVE Program. She took a Nurse Extern position on the Medical Intensive Care Unit; which stemmed her desire to work in critical care. She graduated from La Salle in December of 2005; she then started a Neonatal Intensive Care position at Einstein Medical Center. In 2010, she began pursuing her Master’s degree in Nursing at LaSalle. She also worked as a health coach for Independence Blue Cross, performed home care visits for new moms and babies, and worked as an intake specialist for a private company. Once she completed her studies in 2014 and obtained a degree as Family Nurse Practitioner, she started working at FPCN in March of 2015 as her first NP job. 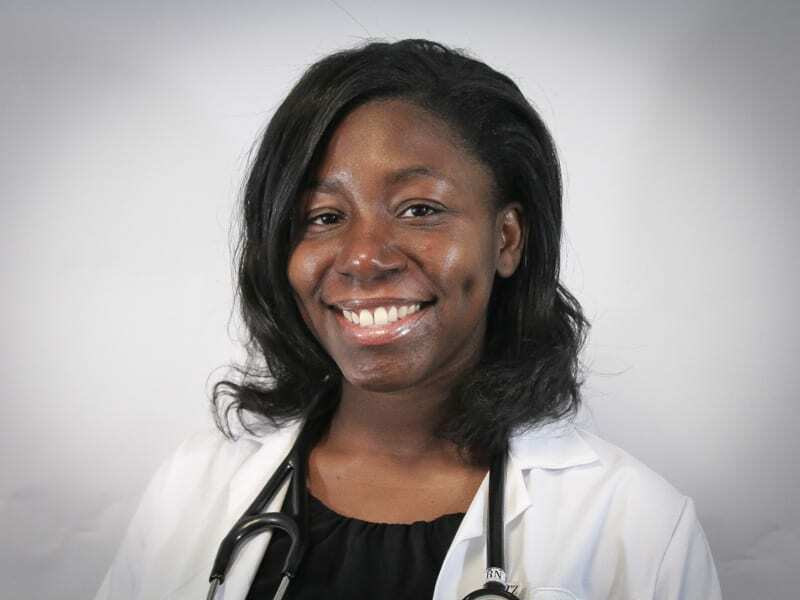 She loves working with the community, meeting the needs of patients, and educating individuals about health care needs.